When I was a kid if I had a friend that spoke a different language I would have thought that they must be the most cultured, well-traveled child I knew. I only spoke one language, and even the adults in my life only spoke one language as far as I knew. To speak another language meant that either your parents were immigrants, or you had lived in a different country, both seemed pretty worldly to me. By the time I became a teenager, I had started babysitting for some of the local young moms. Spending time with these new moms and their next generation children, I quickly realized times have changed. Most of the parents I worked for were already working on teaching their children another language. The language of choice was usually either Spanish, French, or American Sign Language. American Sign Language was a popular one among those with babies who could not yet speak English either. If a parent only spoke one language themselves, they often learn along with the child. With tools like Rosetta Stone, it seemed easy to pick a language and learn over time. There are many added benefits to encouraging your child to learn another language beyond their natively spoken one. One of the first benefits is the educational and practicality of it. Teaching your child another language at a young age is easier than teaching a teenager a second language. The way their brain develops as a child is much different than when you are learning something later in life. Additionally, it helps to stimulate either types of learning and improves brain function all together. Studies have shown that children who learn a second language tend to develop reading skills much easier as they see language as a tool they can use in their environment and it allows them to have a better understanding of language as a whole. Often times a child will present stronger skills in their primary language as well. The ability to interpret abstract concepts from one language to another also gives them the skills to problem solve in more effective ways, resulting in higher test scores and stronger focus. In addition to the cognitive benefits, children also experience a cultural awareness when they are raised in a bilingual environment. When learning another language, it opens up the mind to other cultures, traditions and beliefs. Often when learning a language, we are taught to be open and tolerant of people who may be viewed as minorities or at the very least have different beliefs and lifestyles than what a child may experience on a day to day basis. It also opens up the possibility for more travel with the family or even later in life as the child begins to experience the world on their own. Speaking the native language when traveling enhances acceptance and understanding on both ends. Dual Language training is an efficient technique to developing language proficiency and literacy in English and a confederate language. Topics coated include instruments and strategies for figuring out creativity, theories and fashions of creativity, strategies for creativity enhancement, futuristics and challenges distinctive to ingenious individuals. Education for all: The report of the Committee of inquiry into the coaching of kids from ethnic minority teams. And California is in a financial burden and funding issues, the Courts really feel the squeeze, the mercy for the mum or dad that finds them self in the midst of a False Allegations. Up until the mid-twentieth century, colleges in parts of Texas segregated Mexican-American college students from whites, routinely shaming, punishing, and expelling them for speaking Spanish in school. Nuns harassed memorization and implied that schooling is actually a matter of buying data already discovered. University of Houston on-line faculty for coaching offers Master’s of schooling in administration and supervision for greater education; Master’s of schooling in curriculum and instruction (Mathematics coaching); Master’s of training in gifted and gifted education. Sentences in the language jail: The rhetorical structuring of an American language coverage debate. Even although there have been many good instructions within the discipline, the then bilingual coaching have been implemented interruptedly, formally and just for teaching revolutionary songs in ethnic minority languages in guerilla bases equivalent to, Raglai, Katu, Bru- Van Kieu and Ta-oi areas or in Northern border areas of Hmong, Tay, and Nung in Viet Bac and Tay Bac autonomous areas from 1956 to 1975 (Duiker, 2000). 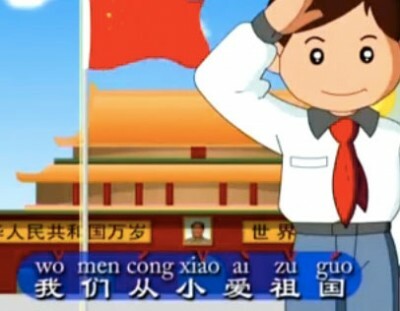 From the beginning of twentieth century to the 1960s, various parts together with nationwide insurance insurance policies impeded the development of bilingual education. Copy of NYS initial/Provisional/Professional or Permanent Certification as a classroom instructor (early childhood, childhood, or adolescence) or proof of matriculation in a teacher training program (early childhood, childhood, adolescence) at Fordham University. Although residing with an individual from another tradition may be enriching, pleasing and a focus-grabbing, it may also result in frustration and arguments when there are disagreements regarding the celebration of holidays, each day habits, the position of ladies and men, the right way to act around different individuals as a pair or how a lot time is spent with family and mates, if touring alone is excepted in the totally different tradition or not and so much extra. According to the U.S News and World ranking, University of Houston is among the many prime three biggest faculties that present on-line finest applications in coaching. Salem-Keizer Superintendent Christie Perry and Hillsboro Superintendent Mike Scott stated they’re thrilled to know they have a bevy of Western-prepared bilingual lecturers headed their methodology shortly. The issues of instructing methodology and finding out assets, nonetheless, are not restricted to the teaching of Bahasa Indonesia, nonetheless they’re the main issues in the entire Indonesian schooling system. Soifer stated bilingual packages segregate students and often put extra emphasis on multicultural research than on instructing students to be taught and write in English. When schools present children quality training of their principal language, they provide them two points: information and literacy. The remainder of this paper focuses on reviews and overviews of study studies on the effectiveness of bilingual coaching varieties. When bilingual schooling largely disappeared from California in 1998, so did hundreds of thousands of options, economic and in any other case. 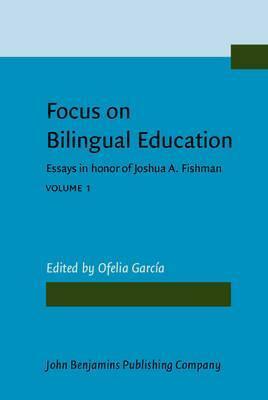 Furthermore, the college should make curriculum for bilingual instruction applications and provide finding out property which might help bilingual instruction packages. The journal provides a discussion board for analysis on properly-established immersion and content material materials-primarily based programmes in addition to evaluation on new initiatives inside the broad discipline of content material-based totally language training. Bilingual training has develop to be highly regarded nowadays, with perhaps basically the most compelling motive for bilingual coaching being the concept of equality of education in our country. This is true for the reason that huge consensus of the full body of research is that effectively-carried out bilingual or twin language teaching programs always yield greater lengthy-time period outcomes for language minority faculty college students than English-only applications. Backers of bilingual applications defend them by arguing that turning into proficient in any second language takes longer than one or two years. My analysis reveals that resistance to the brand new legislation was, in many schools and districts, pretty intense, indicating the depth of help for bilingual training amongst lecturers and principals. After 30 years of the bilingual experiment and billions of dollars spent, dependable research shows that these packages fail to indicate college students the English language and literacy they need for school success. A linguistic program the place the second language and tradition don’t drive out or belittle the primary language and tradition. That’s why 60 percent of Asian-American dad and mom in a single research by Michigan State University education professor Barbara Schneider taught their preschoolers elementary studying, writing and math, hoping moreover to imbue them with perseverance, concentration and focus. The MLTP for Cham students could very nicely be thought-about as what is in between the ‘sturdy’ and ‘weak’ types of bilingual training aiming at assimilation and monolingualism. How to Play: Give kids bingo cards with new vocabulary or overseas phrases already written in. When calling out the phrases, use the definition or English that means of the phrase so that the youngsters need to discover the corresponding phrases on their card. Oiya, I’m still questioning simple strategies to train debate for decrease secondary stduents (junior high). 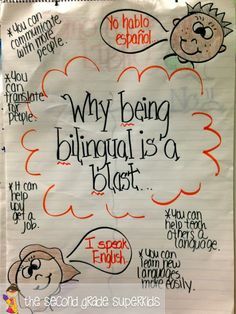 Good bilingual programs have introduced students to the 50th percentile on standardized assessments of English learning by grade five (Burnham-Massey & Pina, 1990).